SAVE MONEY ON THIS RACQUETBALL SUMMER SPECIAL DEAL!! Play Better Racquetball: Skills and Drills. This video features expert instruction from top professional player Shane Vanderson. The program features numerous drills for better shot-making, plus several tips that will help you to develop a consistent and reliable game. Among the topics covered are: drills for beginners, serving drills, hitting drills and advanced drills. Whether you’re a competitive tournament player or a serious recreational player, this video will help you to rapidly improve your game. Play Better Racquetball: Strategies. Devising and using specific tactics against an opponent is often the key to winning, especially against an evenly matched opponent. Great players look to emphasize their strengths and exploit their opponents’ weaknesses. In this informative video, top professional player Shane Vanderson reviews sound, tournament-tested strategic playing principles that will help you get an edge on the competition. You’ll learn how to plan your shot selection and put yourself in the best possible position to win every point. Among the topics covered are: shot selection, court positioning, serving and returning strategies, doubles strategies and strategies for advanced players. Whether you’re a competitive tournament player or a recreational player, this video will help you take your game to the next level! Advanced Racquetball: Secrets of the Pros! Take your racquetball game to the next level with the help of hall of fame coach Jim Winterton. This comprehensive video reveals the techniques, training methods and playing strategies needed to become a champion. The topics covered include: forehand, backhand, a variety of serves, return of serve, court positioning, shot selection, numerous drills to improve footwork, agility, and stroke mechanics, plus much more. 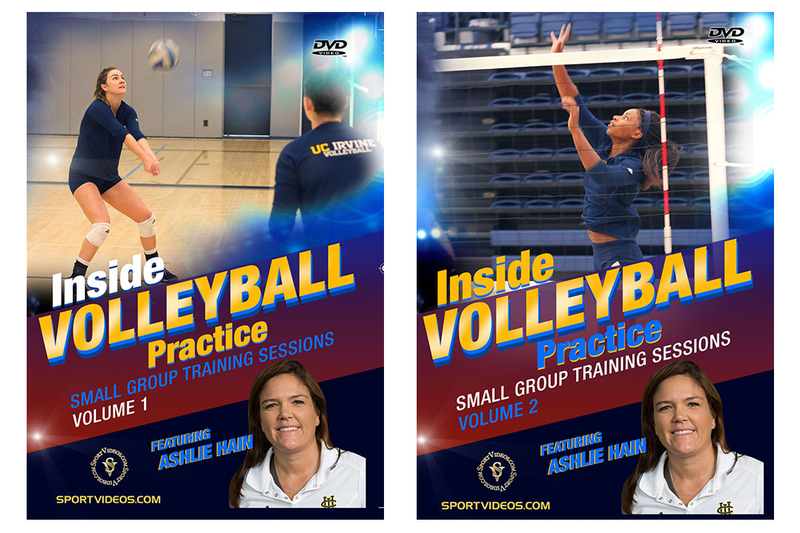 This program is an invaluable resource for players, coaches, and instructors, and will clearly demonstrate how to train, practice, think, and play like the pros! 85 minutes. Beginning Racquetball: Skills and Drills Hall of fame coach Jim Winterton covers all of the aspects necessary to become a successful racquetball player. As he trains beginning and intermediate students, Winterton also helps coaches and teachers by explaining instructional techniques. The topics covered in this program are: serves, forehand and backhand, simplified shot selection, general strategies, and conditioning. Coach Winterton demonstrates a progressive system of learning, starting with positioning and leading to footwork and execution of shots. 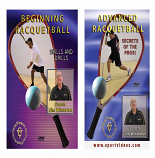 This informative video is helpful for racquetball players and instructors at every level. 78 minutes. Secrets of Power Racquetball: Mastering the Basics Learn to play and excel at racquetball with detailed lessons from a true legend in the sport. In this comprehensive video, Marty Hogan demonstrates all the fundamentals and principles of playing power racquetball and provides an endless array of tips that will help improve your game. Among the topics covered are: rules and regulations, choosing equipment, warming up, forehand, backhand, the serve, return of serve, back wall shots, offensive shots, defensive shots and game strategy. This video is a great resource for new players and has more than enough detail to be beneficial for experienced players or coaches. 40 minutes. 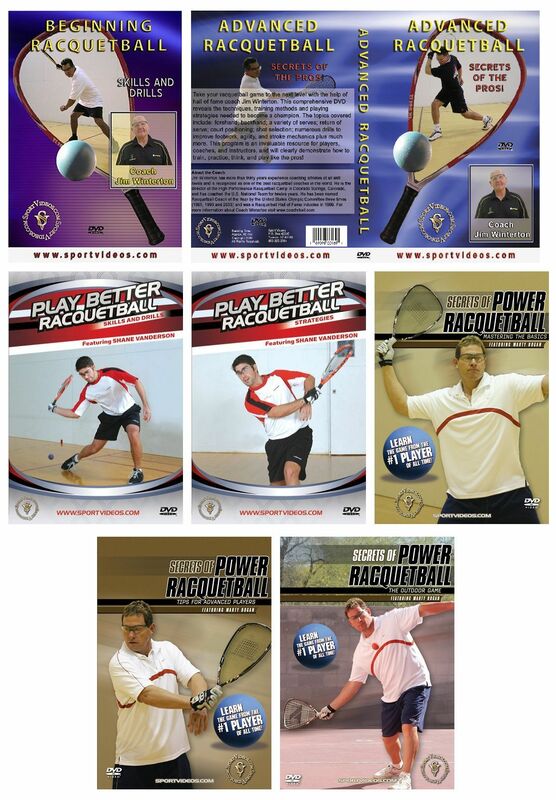 Secrets of Power Racquetball: The Outdoor Game Outdoor racquetball is exploding in popularity! It is a fun and exciting sport with several unique differences from the indoor game. In this comprehensive video, the legendary Marty Hogan demonstrates and explains what it takes to excel at the outdoor game. Among the topics covered are: outdoor courts, preparing to play, the serve, return of serve, defensive shots, forehand, backhand, strategy, doubles, and playing tips and tricks. The Special Features section includes footage from the "Battle of the Beach" Racquetball Tournament, courtesy of Royster Productions. This video will help you learn the correct principles of playing outdoor racquetball and dramatically improve your game. 48 minutes. Secrets of Power Racquetball: Tips for Advanced Players Seven-time United States National Racquetball Champion Marty Hogan details what it takes to play the game at the highest level. He draws upon his experience and expertise to provide an incredible collection of easy-to-use, yet powerfully effective tips. Among the topics covered are: rules and regulations, conditioning, center court control, forehand, backhand, the serve, return of serve, offensive shots, back wall play, tournament play and practice tips. This video will teach you how to perform at your full potential and excel in competition. 56 minutes. About the coach: Marty Hogan won more than 100 international or national racquetball titles and seven United States National Championships during his dominating 14-year professional career. He was ranked either number one or two in the world from 1976 to 1990. Hogan is credited with revolutionizing the game of racquetball with a serve that drove the ball as fast as 142 miles an hour. National Racquetball Magazine ranks him as the number one player of all time. Marty Hogan was inducted into the USA Racquetball of Fame in 1997.